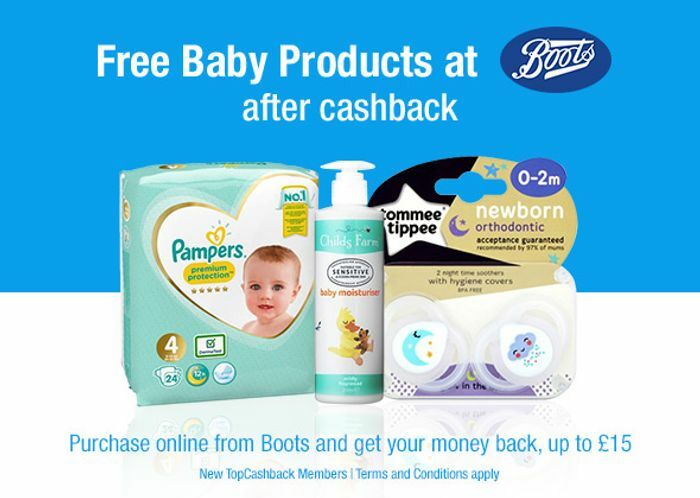 Free Baby Products after cashback means that TopCashback will refund 100% of the total order value up to £15 cashback on purchases at Boots online. Purchases over £15 will receive £15 cashback. The 100% Cashback at Boots start date is the 27/03/2019 and the offer end date is 14/04/2019 23:59. 100% Cashback at Boots deal is only available for new members or those with no previous purchases or cashback through TopCashback. Will this work if I used my boots point to pay?